According to recent reports, roughly 30 to 40 members of the Trump administration have not been granted full, permanent security clearances, meaning that these people handling our classified information are not legally allowed to be doing this. The Trump campaign made a huge deal about protecting classified info in the 2016 election, yet they appear to be even sloppier without caring one bit about it. Ring of Fire’s Farron Cousins discusses this. Late last week, there was a new report that came out from CNN that explained that between 30 and 40 Trump appointees still lacked full security clearances, which are necessary in order for them to be able to do their jobs. One of those people, obviously, is Jared Kushner, who has not been granted a full security clearance. He only has his interim security clearance because for the life of him, that doofus can’t figure out how to fill out a form correctly and he constantly has to amend it. Nonetheless, between 30 and 40 members of the Trump administration do not have full security clearances, either because it’s just taking a little too long, which is what Republicans are saying, or realistically, there’s too many problems with these people for the FBI to sign off on them. 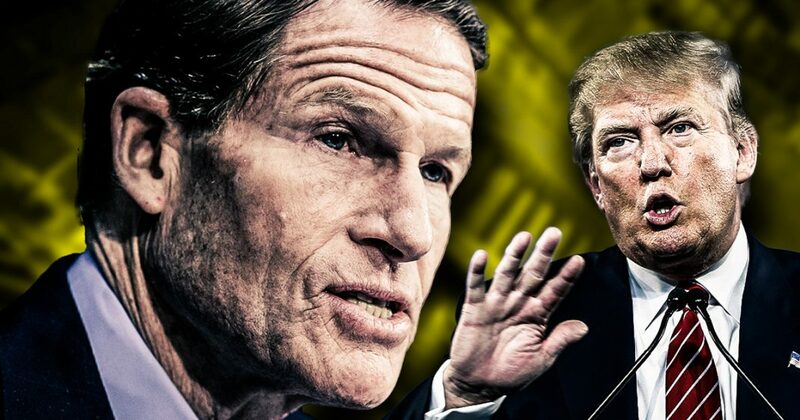 Democratic Senator Richard Blumenthal now wants to hold hearings and find out why in the hell these people are having such a hard time getting their security clearances. Because after all, didn’t Donald Trump tell us he was only going to appoint the best people? Didn’t he tell us he was going to drain the swamp? And yet here, almost 40 people that he has hand-picked himself are so horrible that they can’t even get security clearances, which also means they’re not able to fully operate in the position that they have been appointed to, because you have to have that security clearance. What’s happening instead, and this is what Richard Blumenthal wants to know about, as well as many other Democrats and even some Republicans, is why these people who haven’t been able to obtain a full security clearance are first of all accessing classified information and talking about it with the president. I mean, didn’t Donald Trump kind of base his whole campaign on the fact that his opponent did something shoddy with classified information? And yet, here he is, giving classified information to people who can’t even pass a security check? I mean, shouldn’t Republicans who made a big deal about Hillary Clinton’s emails and the classified data, shouldn’t they be just as angry about this? In fact, even more angry, because these people are actually accessing classified information and the FBI doesn’t trust them? And the country doesn’t trust them, and the CIA doesn’t trust them? But Trump does, right? What’s the worst that could happen? It’s not like anybody from the Trump campaign has ever left and started spilling the beans on things, right? Things are bad in Trumpland, and the Democrats are finally seizing upon that opportunity. The American public needs to understand how horrible these people that Donald Trump has appointed to his cabinet are. They themselves, because they cannot get a security clearance, yet they’re still accessing classified information, those people that Trump has hand-picked are the true national security threat in this country. Until they get out of there, that threat is going to continue to grow.